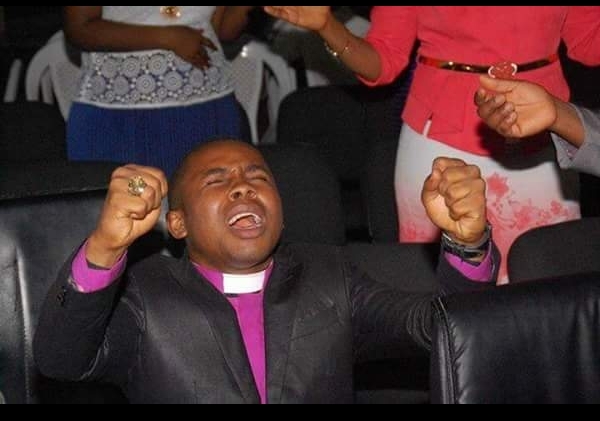 'I am not a politician, I am not into politics, I am only a prophet that communicates and speaks the mind of God to the people. 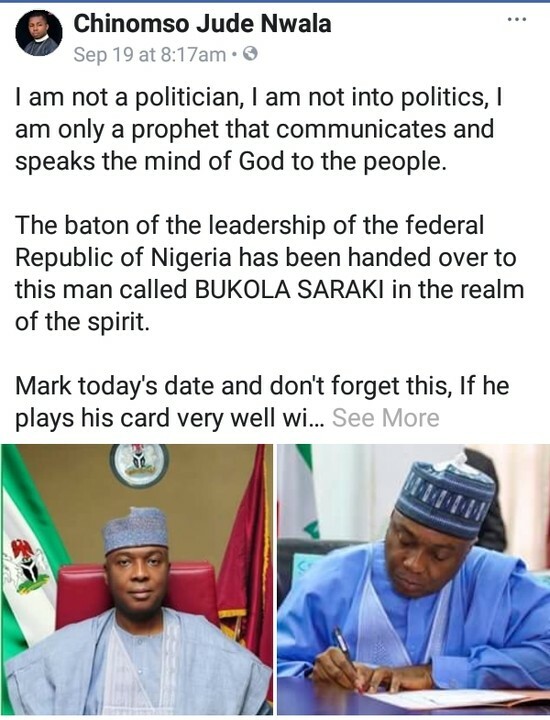 The baton of the leadership of the federal Republic of Nigeria has been handed over to this man called BUKOLA SARAKI in the realm of the spirit. Mark today's date and don't forget this, If he plays his card very well with the right heart of goodwill, he will become the next president of Nigeria come 2019. I see this coming like a dream and surprise. God will through him restore the lost glory of this federation. Let's at the same time pray that God'swill be done.